Siemens and CD-adapco have entered into a stock purchase agreement for the acquisition of CD-adapco by Siemens for the amount of $970 million. 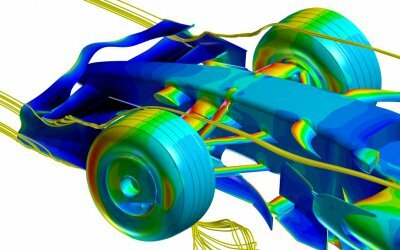 CD-adapco is widely known for its Fluid Dynamics and Solid Mechanics software widely used among Formula One teams. CD-adapco is a global engineering simulation company with software solutions covering a wide range of engineering disciplines including Fluid Dynamics (CFD), Solid Mechanics (CSM), heat transfer, particle dynamics, reactant flow, electrochemistry, acoustics and rheology. Last fiscal year, CD-adapco had over 900 employees and revenue of close to $200 million with software-typical double digit margins. On average, CD-adapco increased its revenue at constant currencies by more than 12 percent annually over the past three fiscal years. Siemens expects this business to continue to experience strong growth in the future. CD-adapco simulation tools, led by the flagship product STAR-CCM+, allow engineers to discover better designs, faster. CD-adapco now has over 3,200 customers worldwide. Its software is currently used by 14 of the 15 largest carmakers, by all of the top ten suppliers to the aerospace industry and by nine of the ten largest manufacturers in the energy and marine sectors. Closing of the transaction is subject to customary conditions and is expected in the second half of fiscal year 2016, following which Siemens will integrate CD-adapco into the PLM software business of Siemens' Digital Factory (DF) Division. DF is the industry leader in automation technology and a leading provider of Product Lifecycle Management (PLM) software. CD-adapco is a long term partner and supplier of the Enstone based teams in F1, including Renault Sport F1 during its Championship winning years in 2005 and 2006, as well as Lotus F1 Team. Siemens PLM software on the other hand is currently being used by Red Bull Racing.